Colorado Seed Bank Cannabis Seeds For Sale – At Greenpoint Seeds, our team of experienced cannabis genetics and marijuana seeds breeders have worked hard to create some of the best crosses for sale online (and we’re eager to share them with you). We offer a number of strain types, seed types, flavor profiles, and discount seeds from some of the nation’s top breeders, and we’ll ship them straight to your doorstep no matter where you are. We’re so excited about our cannabis seeds and we want to make sure you are, too. That’s why we’re extra careful to ensure safe, discrete shipping and billing practices. No need to worry about the shipping of suspicious packaging; all of our orders are processed using the utmost discretion, avoiding the use of terms like “cannabis” and “marijuana” at all times. We also offer amazing deals on our marijuana seeds to keep you coming back for more. As if our huge selection of regular and feminized seeds wasn’t enough, we also feature a rotating stock to keep your shopping journey fresh and exciting, and a reverse-auction allowing you to snag amazing deals on some of our most popular strains. Prices drop ten percent every ten minutes so check back often if you see a strain you like, but don’t wait too long! These strains are hot and selling quickly. Want more perks? 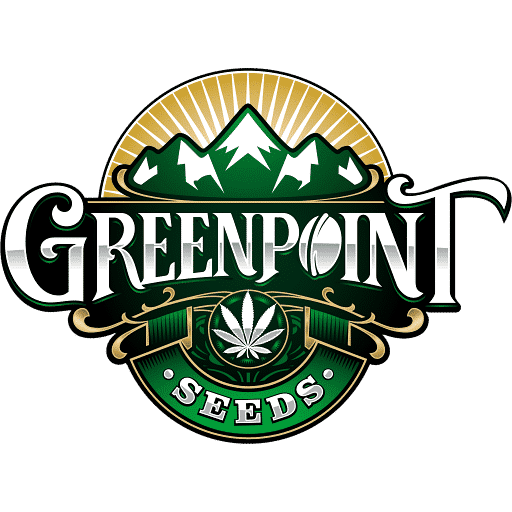 Sign up for the Greenpoint Gazette and always be the first to know when Greenpoint Seeds, the Top Colorado Seed Bank, drops new marijuana strains and cannabis genetics. There are many seed banks in Colorado but if you want the best strains for your garden, Greenpoint Seeds is the best seed bank in the USA. I have been a GPS customer for a short time and am very empressed with them. the speed of delivery the customer service is unequaled by any otherof the same type company. Like I said I have only been a customer a short time. The ones I got had 8 of 8 germ and grow 6 are very vigorous and doing well the other 2 are a little slower just another phynotype. You can really tell you are getting fresh high quality seeds at a reasonable price.There air tight packaging makes storing some for later easy. It’s everything you want in a 1 stop shop. Safe,very stelth, trustworthy, and have great customer service, Fantastic product, What more do you want. beleave me I’m a 57 year old who has been smoking since I was 14 I’ve tried them all. Greenpoint has been the best hands down. I also love the Golden Nugget program, where you earn points to save at checkout. You can also never go wrong with a reverse auction, where the prices go down, as you bid on your favorite strains. Greenpoint is my new go to site! No more questioning that what you bought is actually what you get. Fire genetics and the best customer service in the business! GPS is the best bank, auctions, super genetics, quality service, thank you. I’ve been buying , and growing greenpoint gear for a few years now. And I have nothing but great things to say about It. Thank you Gu, Ally, and everyone else at team Greenpoint !! Keep up the great work. I’m happy to report I’m a new client and a lifetime customer at that. I’m stocking up on all the gear I can you never know when those fire genetics will be half price , so hit the checkout button already!! I will be turning 57 shortly and have been cultivating since the old age of 14. I understood growing seedless weed long before i heard the word sinsemillia. (Sinsemilla) Even Wikipedia and Webster cant agree on how to spell it today even. Lol When doing this i did not even understand that they were two different sexes. To me they grew to be different plants. This is also why i seperate male from female befor planting the seed with better than 90 percent accuracy. I first heard of GPS for i wanted to create my own strains and this company came recommended to me for this purpose. My first line created used the Golden Goat x Polar Bear OG for my stud for cross pollinating with the other strains. The one bad azz male stud was also a trick i learned from GPS. So besides saving this strain i also ran a great linage from there which i call my Goldilocks line. I do not sell my seeds as of yet. A seed company may not be to far off thanks to GPS and the fabulous genetics able to be passed forward. Mean while i still patronize this company do to it fantastic choice as well as the genetics with in for my own personal flavors. Rather extracted or consumed in flower form i am sold on GPS. Thank you Gu and the rest whom make this company what it is. Yes i love the Reverse Auctions as well. They are perfect for those whom grow for the love of cultivating. I enjoy this more than consuming the fruits of my labor.